Continuing Alba Locksmiths‘ five-part series into the mysterious and little-known world of the locksmith….. When you find yourself in a situation where you need a locksmith in a hurry, then please don’t panic; you will find someone to help you. In this blog we’ll give you some advice on how to get the help and what to ex pect. Firstly, it’s worth taking the time to find a suitable locksmith to help you. If you don’t already know one, then search for a reputable, qualified locksmith who is a member of either the MLAA (Alba Locksmiths is a member) or the NZLA (both recognised locksmiths associations in New Zealand.) BE WARNED that there are locksmith scams out there, so please read this so you can spot a scammer. If you’re calling outside of business hours, then you’ll need a locksmith who operates 24 hours a day and handles emergency call outs. You should expect to be charged a higher callout rate than the normal business hours rate. If they can’t do your job, then ask them to recommend someone else if they haven’t already done so. Before starting the job the locksmith should ask you for ID, but so often in lockout situations the ID is locked in! If you are not just locked out, but also your keys are lost or have been stolen, then your locksmith may advise that you have your locks rekeyed (not locks changed, unless the locks are damaged or can’t be re-keyed) so that no-one can use those missing keys to gain access to your property. Keys can at times break when they’re in the lock or get jammed in the lock and so locksmiths have a range of tools and methods to retrieve the key from the lock. Your locksmith should check the lock itself as a faulty lock can be the cause of these problems. Don’t forget that they can also cut you a new key! Finally, be prepared to pay your locksmith on completion of the job. 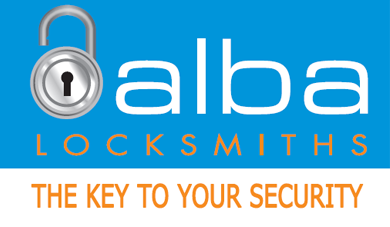 Not all mobile locksmiths are set up to take card payments (Alba does take card payments!! ), so you may have to pay in cash, or cheque if they accept them. Payment method should be established at the time of booking the job. Become a Security Smartass and read more Part 3 ! !